Since about 2006, artists have been drawing comics for every hour that they’re awake on February 1st. 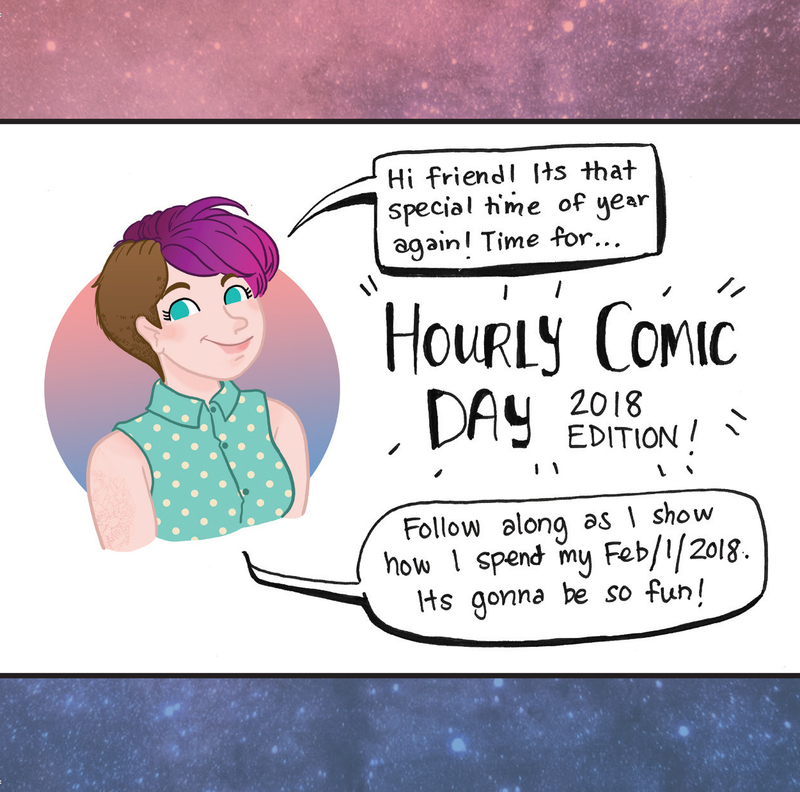 Having participated three years now, Haley explores her day through comics and she hopes you’ll enjoy this look into her life. There are a lot of drawings of her dog.